Britain has been gripped by Winter, but in Dorset's Isle of Purbeck, Spring has Sprung say Walking Festival organisers. As Britain has been gripped by snow and icy temperatures in recent weeks, the beautiful Isle of Purbeck in the heart of the Dorset's Jurassic Coast has been sheltered from the extreme conditions, with days of clear blue skies perfect for winter walking. The area in January, even boasted the earliest sightings of adders in U.K.
Andy Pedrick organiser of the Swanage and Purbeck Walking Festival, is delighted. The Walking festival now in it's third year, is set to be the best ever, sponsored by beloved outdoor retailer Oswald Bailey, there is a packed programme of special interest events such as art, local history, archaeology and photography. The festival has grown enormously, the idea being that we cater for all tastes and fitness abilities. There is such a diverse range of activities and attractions in the area, such as the historic National properties such as Corfe Castle, or protected wildlife areas such as the the RSPB nature reserve at Arne, that we can provide something for everyone. We are particularly pleased this year to be able offer photography walks and tuition. We have some of the UK’s rarest species, and those taking part can expect to encounter Sikka deer, a variety of sea birds such as puffin, as well as the potential for sighting of dolphin, minke whale etc. Late April can bring very warm temperatures here, enough to encourage some to take their first dip in the sea! The Swanage and Purbeck Walking festival runs from April 29th – May 6th. To book accommodation, and find full information of the festival programme, visit www.walkswanage.com Walks can be booked in advance, and hotel owners and festival organisers will help plan your itinerary. 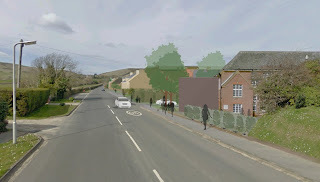 Have disabled people in Swanage and people with prams, heavy shopping or heavy luggage got adequate access to transport? 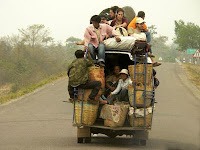 Transport includes ships, cars, buses, railways, airports and the London Underground. Asks Robin from Swanage. The Swanage Railway are painting the Wessex Belle set crimson and cream. This is the livery used by British Railways for its corridor passenger stock from 1950 to 1956. At the time there were only a handful of diesel engines, the locomotives had the cycling lion crest and some of the coaches had not been built. Should the railway paint rolling stock to represent different eras or should it continue to paint the stock to represent the period from 1956 to 1967? Today a group of like-minded creative people in Swanage decided to establish regular fun gatherings - the atmosphere to be friendly and personal. Evenings will include live music from talented singer/songwriters, socialising and networking, different speakers and activities. It's a sobering thought that one in three of us will get cancer, and it is, possibly, the toughest thing most of us will ever face. If you, or a loved one, are diagnosed with cancer, you'll want to be reassured that there's a team of people in your corner supporting you every step of the way. 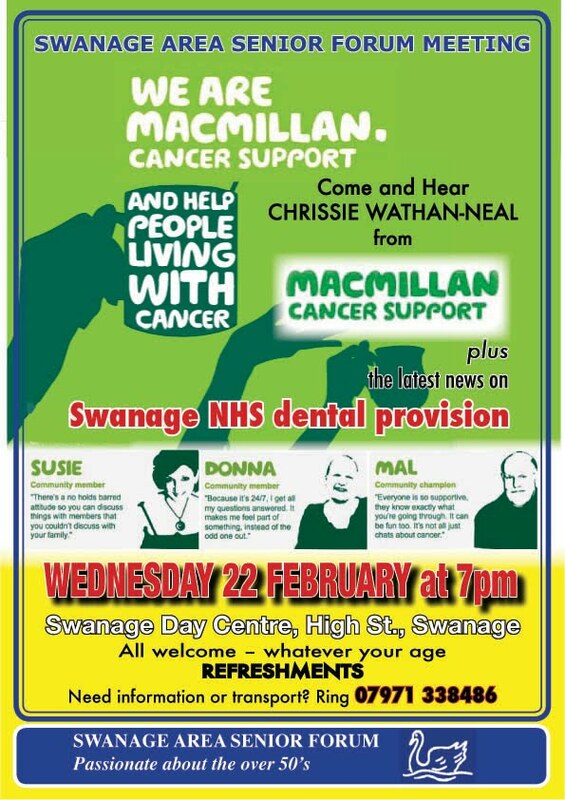 Chrissie Wathan-Neal, from Dorset Macmillan Cancer Support will be the guest of Swanaage Area Senior Forum at our monthly meeting on Wednesday 22nd February, 7pm, at the Swanage Day Centre. Around 4,400 people are diagnosed with cancer in Dorset every year, and Macmillan trys to reach out and improve the lives of those people by providing practical, medical, emotional and financial support. 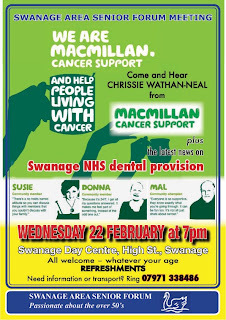 Come along to hear all about Macmillan, what they do, how they can help us and how we can help them. Everyone welcome - whatever your age ! Britains Heritage Heros is a series in which John Craven and Jules Hudson meet the people saving British crafts and heritage. Mondays trip is a celebration of the rich heritage of the south west. Starting off at Swanage pier. 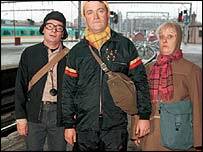 Jokes about Railway Enthusiasts in the Swanage Railway Project. Should people be subjected to ridicule because of the hobby they choose? How should they react? Should they stop being railway enthusiasts, should they ignore the comments, or should they make jokes about themselves? So what do people make of this? Don't park on the verge. Today I was amazed to see over 20 "NO PARKING ON VERGE" signs along the road that is opposite swanage middle school running alongside the high street. Over 20 signs? Some of these are less than a car length apart. If its to stop damage to the grass, you should see the damage done by the post installers. They are an eyesore and excessive, surely someone has got something wrong. 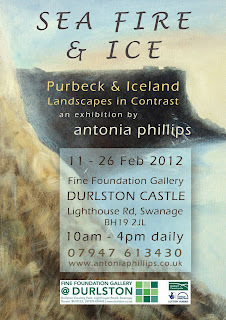 Paintings and original prints by Antonia Phillips are on show and you can also find out more about two amazing landscapes both near and far :: Purbeck and Iceland. Should the Swanage Railway build a halt where the Railway Line crosses footpath 13 400 yards from the Blue Pool? No. It should focus its resources on linking to the main line. Should we make cycling more safer in Dorset? Should we be providing proper cycle lanes and spend money on bringing back cycle tests to all schools at an early age. ?